One of the most frequently asked makeup questions I get from friends, family and followers is: how do you do your cat eye liner? 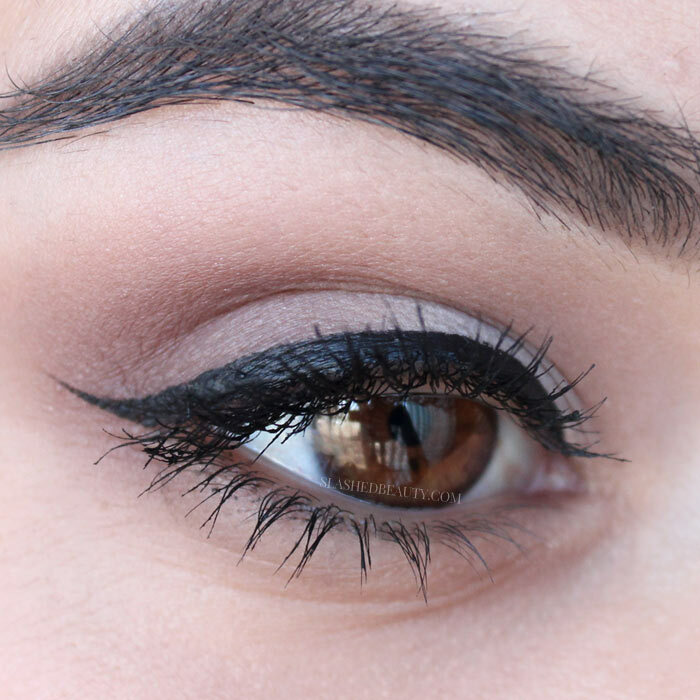 Doing a cat eye— or winged liner— is part of my every day makeup routine. Sometimes it’s long, sharp and dramatic, sometimes it’s no more than a kitten flick… but it’s super out of my comfort zone to go without it at all. Luckily, I can boil down the technique to four easy steps. 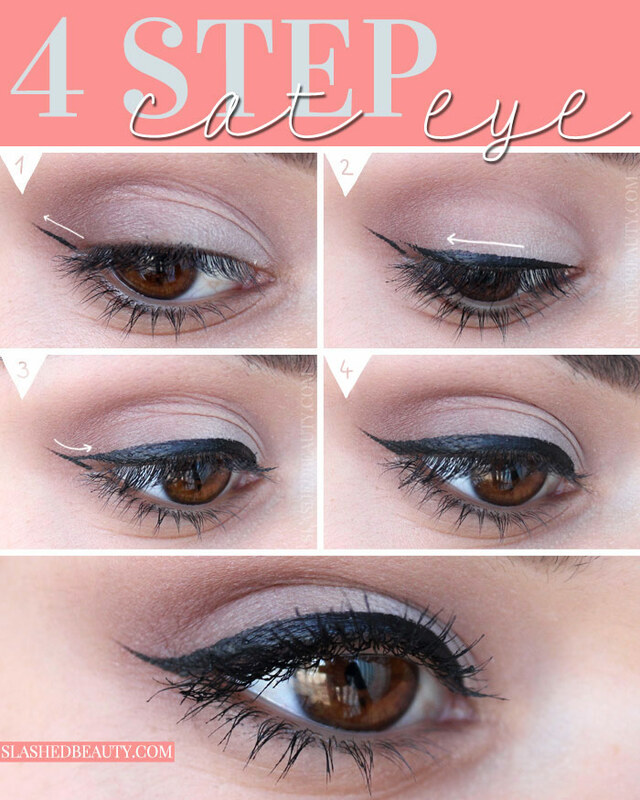 However, when it comes to cat eyes, practice makes perfect. I’ve been doing it almost every day for eight years, so while I can do it on autopilot, it can take a sec for a beginner to grasp. Especially if you’re not used to liquid liner, which is my tool of choice for this look, respect the learning curve and don’t get discouraged if it doesn’t come out perfect on your first try! ONE | Starting out with the wings will help you determine how dramatic or subtle the rest of the look will turn out. It will also give you a chance to make the angle of the wings even before finishing the rest of the liner. Start at the corner of the eye and lightly stroke up at an angle. TWO | Next start from the inner corner and draw a line slowly toward the wing, building up to your desired thickness. Stop the line at about where your outermost lash is. THREE | From the middle of the wing, draw a line leading to the upper lid liner to connect them. Also take this moment to even out any jaggedness on the top of the liner. FOUR | Fill in any empty space, and you’re done! It’s that easy! In terms of the liner you should use for this technique, I recommend either liquid or gel eyeliner. My absolute favorite liquid eyeliner is the NYX Matte Liquid Liner, which I also used for the above tutorial. It’s only $7, has a fine brush tip for precise application and lasts all day without fading or smudging. I also prefer brush-tips over felt-tip eyeliners, as felt does have a tendency to fray which can effect the preciseness of your lines. Is this how you create your cat eye, or do you have a different method? Previous articleSkin Care Ingredients 101: What Serums are Right for You?